Mr. Barton is a leading film, real estate and banking executive. 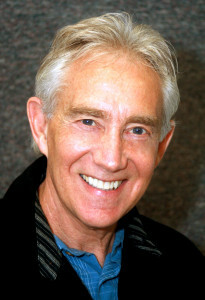 He started his career in 1985 in television and film, forming Barton-Printz Productions, Ltd. producers of Beyond The Line a co-production television series with the Canadian Broadcasting Corp. (CBC) and served as Vice President of IA Entertainment, a distributor of international film and television product. In Los Angeles he teamed up with Cinema West films as an Executive Producer for such films as Island Prey a suspense thriller for the Lifetime Channel. The Letters a 20 million dollar biopic motion picture based on the life story of Mother Teresa tracing her pathway toward Sainthood scheduled for release in 2014 by Twentieth Century Fox and Open Road Films. Mr. Barton is currently The Executive Producer of “Free Ride” a 3D extreme sport IMAX film project with Scott Miller son of Warren Miller, founder of Warren Miller Entertainment who has produced, directed and narrated over 750 sports films. Mr. Barton is also in production of a drama and reality television series for the CBC. In addition to his film career, Mr. Barton has an extensive background in banking and real estate ranging from lending, acquisition development, construction, marketing and management. As a banking executive for 16 years with Pioneer Bank (Washington Mutual) he was responsible for all aspects of subdivision development, commercial real estate lending that included shopping centers, multifamily housing, condominium projects, mobile home parks and retirement complexes. Having served as CEO of Queen City Savings, he became the founder and director of Lynnwood Savings & Loan, a Seattle based S&L. As an entrepreneur Mr. Barton was a principle partner in such successful commercial real estate development companies as CB Development, Inc., a developer of “Faraway” a deluxe waterfront condominium project in Mukilteo, WA, Barton-Rock Co. a commercial land development, multifamily and commercial office construction, and Yost-Barton partnership a 107 acre Community College conversion acquisition to light industrial park property. Mr. Barton studied business and finance at the University of Washington in Seattle.